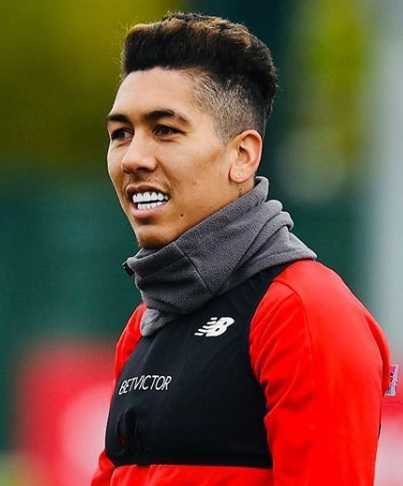 Roberto Firmino Barbosa de Oliveira, professionally known as Roberto Firmino is a Brazilian professional football player who plays for Premier League club Liverpool and the Brazil national team. He wears shirt number 9 at Liverpool. He plays in the attacking midfielder position. He also plays as a forward or winger. In 2009, he started his football career from Brazilian club Figueirense. Later, he joined German club Hoffenheim, where he played four and half seasons before joining the English side in 2015. He was named Bundesliga Breakthrough of the Season 2013-14 and was included in the 2017-18 UEFA Champions League Squad of the Season. He made his international debut for Brazil in 2014. One of the "Fab Three", Roberto Firmino had an amazing farewell to the year 2018, as he scored a hat-trick against Arsenal on 29 December 2018. Liverpool defeated Arsenal 5-1 at home. Liverpool proved best throughout the game and they were leading 4-1 before the halftime. However, Arsenal took the lead in the 11th minute when Ainsley Maitland-Niles scored the goal for Arsenal. In response, the Brazilian scored 2 back-to-back goals within 90 seconds in the minute 14' and 16'. Sadio Mane scored in the 32nd minute and Mohamed Salah scored via penalty in the added time of the first half giving the Liverpool side a 4-1 lead in the first half. Firmino completed his hat-trick adding one more in the 65th minute via penalty. He can play as attacking midfielder, winger, and as a striker very well. Roberto Firmino was born on 2 October 1991. His birth name is Roberto Firmino Barbosa de Oliveira. He was born to Jose Roberto Cordeiro and Mariana Cicera Barbosa de Oliveira in Maceio, Brazil. He holds Brazilian nationality. His zodiac sign is Libra. Roberto Firmino joined the youth system of Figueirense in 2008. He started his professional football from Brazilian club Figueirense in 2009. He played there for two seasons. German club, 1899 Hoffenheim signed him in 2010. He played 5 seasons at Hoffenheim and scored a total of 49 goals in all competitions for the club. English club Liverpool signed Brazilian for 29 million pounds ahead of the 2015-16 season. He has already scored 50 goals in all competitions in his first three seasons at the club. The attacking team of Liverpool during the 2017-18 season, Mohamed Salah, Philippe Coutinho, Sadio Mane, and Firmino was given a name "Fab Four", in reference to the rock band The Beatles. Coutinho departed from Liverpool during the midseason to Spanish club Barcelona. The three remaining players were named "Fab Three". He became the highest scoring Brazilian player in the Premier League history after scoring a hat-trick against Arsenal on 29 December 2018. 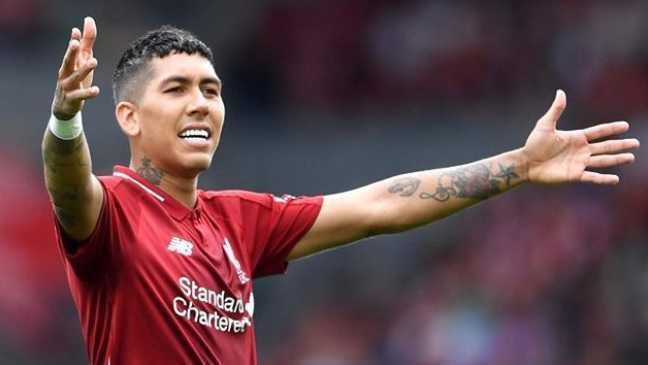 Firmino led Liverpool to 2015-16 Football League Cup and UEFA Europa League and 2017-18 UEFA Champions League, where the club finished all the finals as runners-up. Firmino made his international debut for Brazil on 12 November 12, 2014, in a friendly match against Turkey. Later, he represented Brazil national team at the 2015 Copa America and 2018 FIFA World Cup. Roberto Firmino is a married man. He is married to Larissa Pereira. Previously, they started dating in 2013. They tied a knot to each other in June 2017. The couple is blessed with two daughters. Roberto Firmino stands at a height of 1.81 m 5 feet and 11 inches tall. He has a body weight of 167.5 lbs i.e. 76 kg. He has an athletic body build. His chest size is 37.5 inches, biceps size is 14 inches, and waist size is 31 inches. He has green eyes and his hair color is dark brown. The net worth of Roberto Firmino is estimated at around $30 million. His reported weekly wages is 120,000 pounds. He has endorsed Adidas and Imprint. He was discovered by Marcellus Portella, a dentist. He scored his first professional goal on 8 May 2010, against Sao Caetano. In December 2016, he was arrested for drink driving and was fined 20,000 pounds and had his driving license revoked for a year. Liverpool manager Jurgen Klopp refers to Firmino as the "engine". He is popular for his "no-look" goals. He is popular for his "the Matador' goal celebrations. He has pierced his ears. Russian club Lokomotiv Moscow made 12 million Euro bid for Firmino in July 2013, which was turned down by his then-club, Hoffenheim. His shirt number 11 was taken by Mohamed Salah and he was assigned shirt number 9.